Manufacturer of a wide range of products which include dehydration conveyor belt, food grade conveyor belt, decorative conveyor belt and steel cord conveyor belts. We are instrumental in manufacturing and supplying Dehydration Conveyor Belt, which is used extensively in waste water plants as sludge dewatering belt. It is dimensionally accurate and effective in performance for increasing the productivity. Our product is made to pass through stringent parameters of quality control for ensuring the delivery of flawless product to the customers. 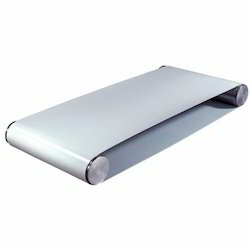 We are among the distinguished manes in the industry for manufacturing and exporting Food Grade Conveyor Belt. The products are used in food processing industry for washing, baking, blanching, dewatering, cooling, freezing and pasteurizing. 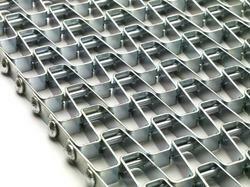 They are resistant to corrosion, rusting, oxidation and wear and tear. They are non reactant to acids and alkalis, owing to their inert nature and use of high quality material for making them. The product is exceptional in tensile strength and used in food, glass and ceramics industries. It is available in various sizes and differently linked shapes. We offer theSteel Cord Conveyor Belts to our client. 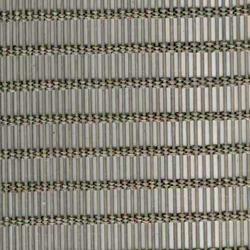 Conveyor belts are made by wire or metal strap, in different linked shapes and form a flat weave, load bearing, flexible. The size and thickness is available as per specification. The offered range is widely appreciated all over the nation for their salient attributes. With our quality range, we are able to maintain a strong foothold in the markets of this industry.